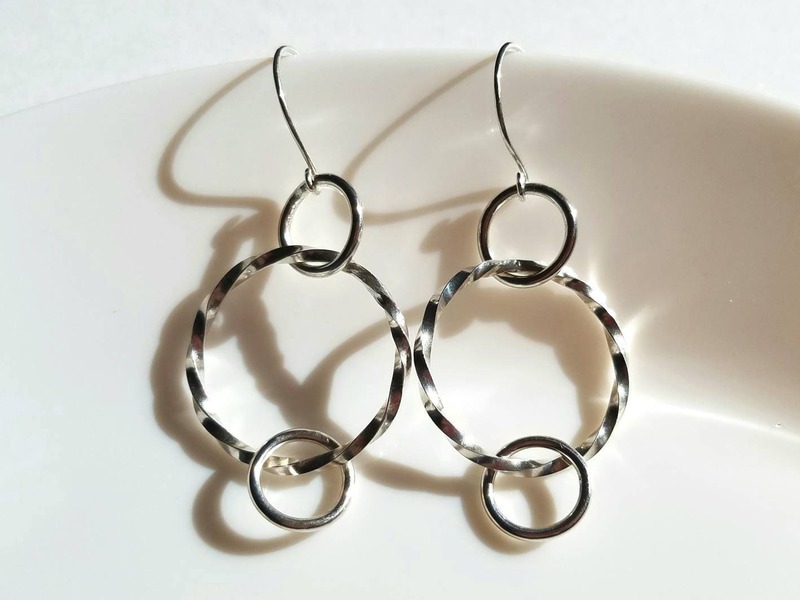 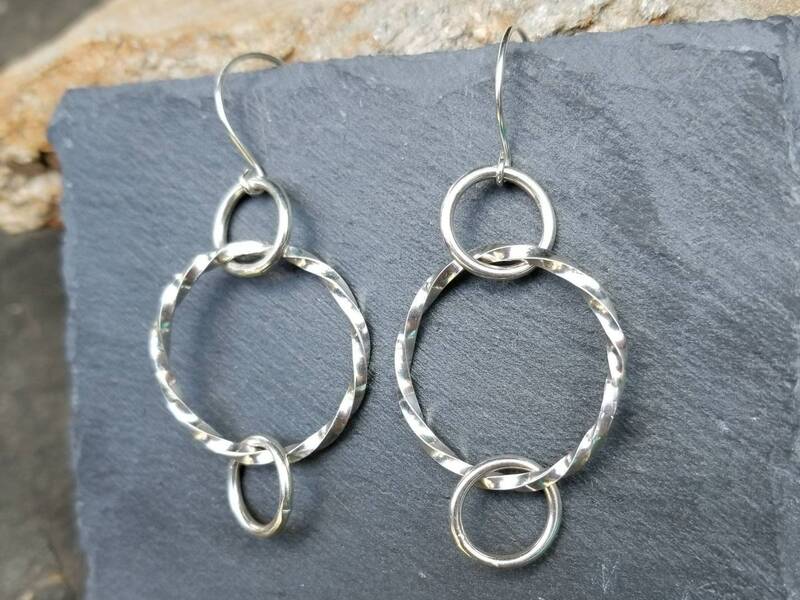 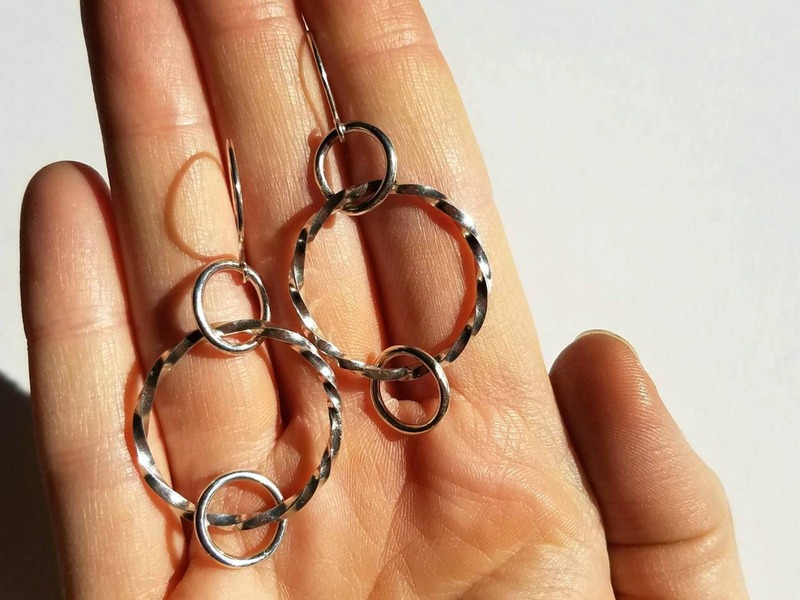 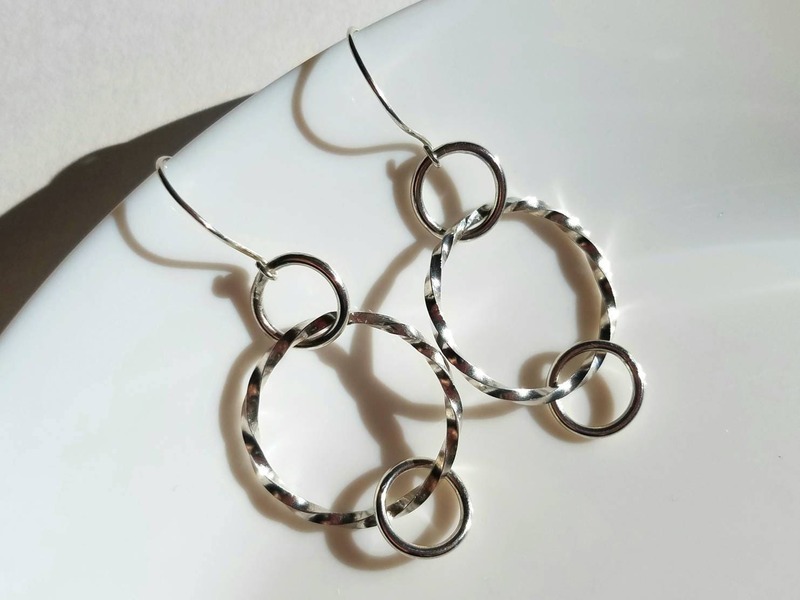 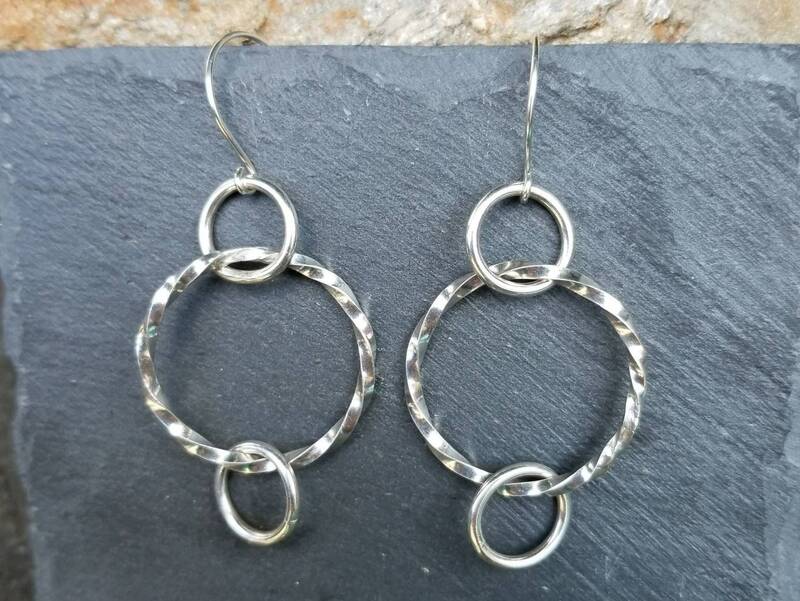 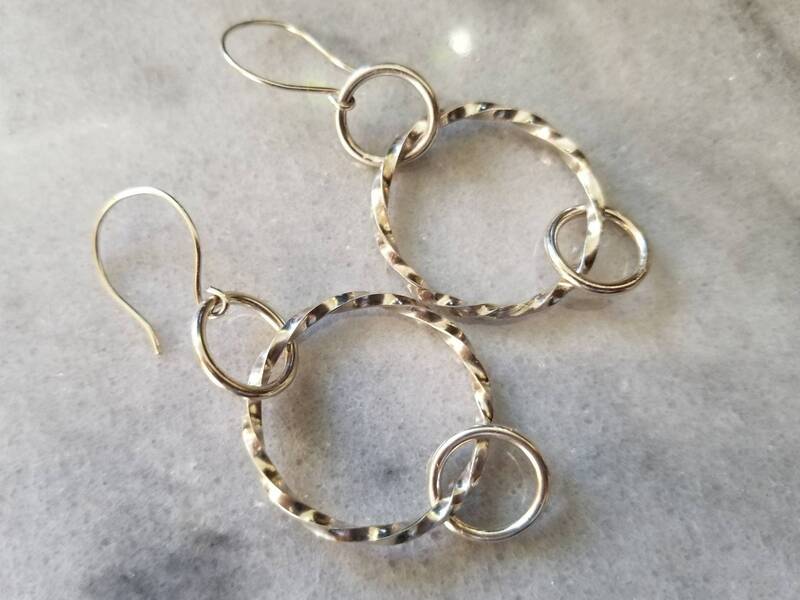 A new take on hoops, these earrings dangle and shine. 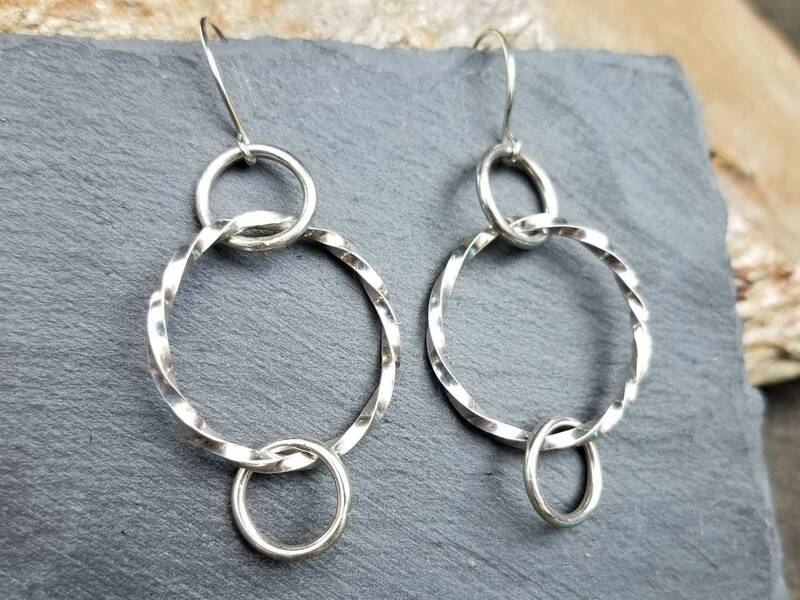 They are light weight and very comfortable. 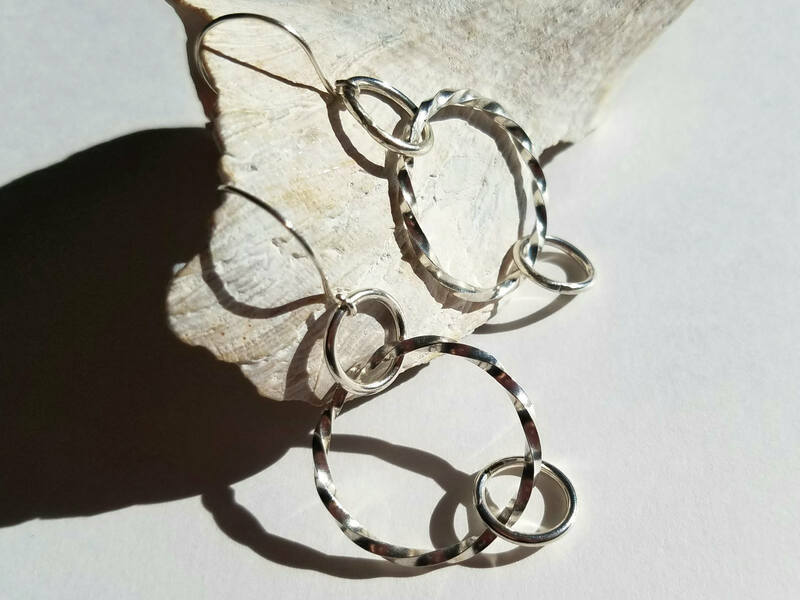 Hand twisted and forged, they hang on hand made wires, all sterling silver. 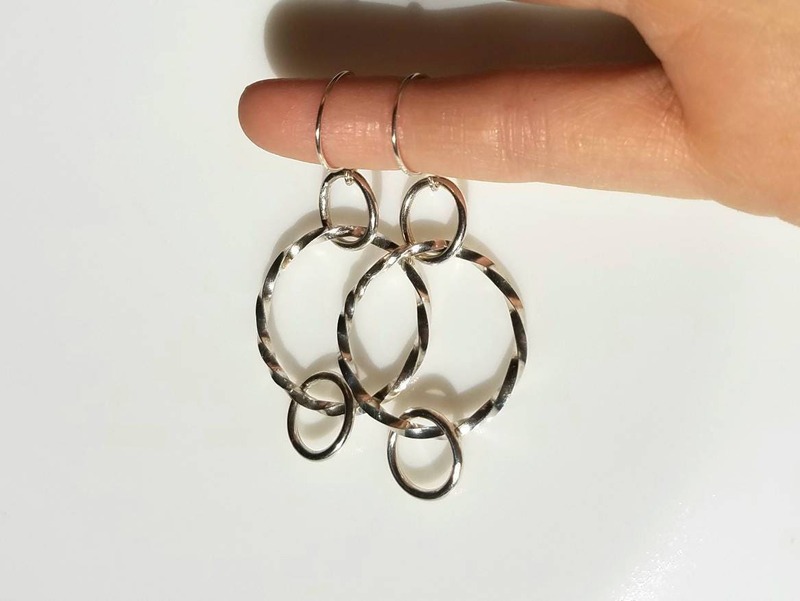 The large rings measure approximately 3cm in diameter and the small ones a little over 1cm.